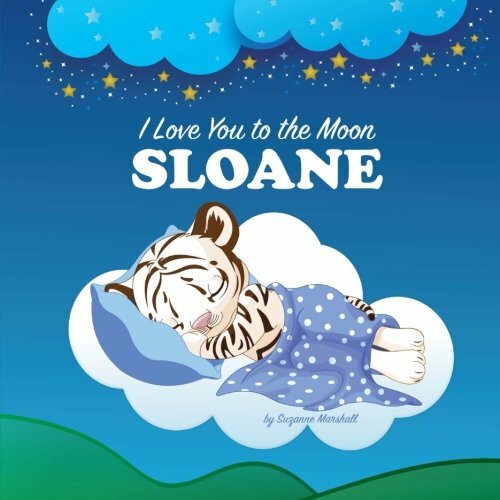 I LOVE YOU TO THE MOON, SLOANE is a personalized book, bedtime story and love book for SLOANE. It's a wonderful way to say "I Love You Forever" to SLOANE. The picture book includes adorable sleeping animal illustrations along with moon and stars. It features mini love poems -- perfect as goodnight poems and bedtime poems. Give bedtime stories and personalized books full of goodnight poems and love poems! You may order this personalized book with the NAME OF YOUR CHOICE at LiveWellMedia.com. What do you get the 5 yr old grandchild who already has everything she needs from her older sister? A BEDTIME STORY is amazing. I found this book personalized for Addison as a last minute Christmas gift. We read it to her and it she knows it's HER own special book, just for her. She loves it, day and night. A BEDTIME STORY is wonderfully made & our grandchild loves it! We love it too! It is a great book for quiet time reading. Plan on ordering more. Thank you sooo much!